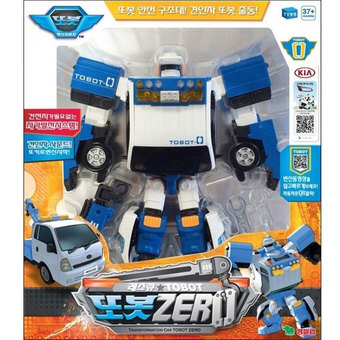 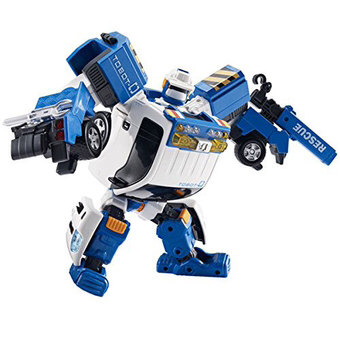 Tobot Zero is a Korean Transformer that changes from a Kia Bongo tow truck into a rescue bot. 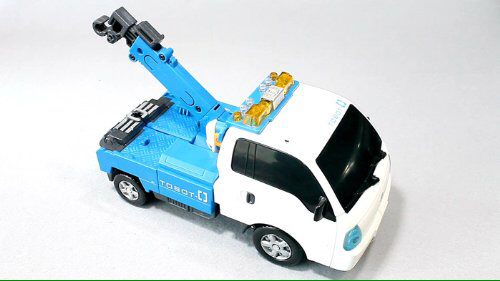 Tobot Zero has a tow arm that raises and lowers, and has a hook to pull his buds around. 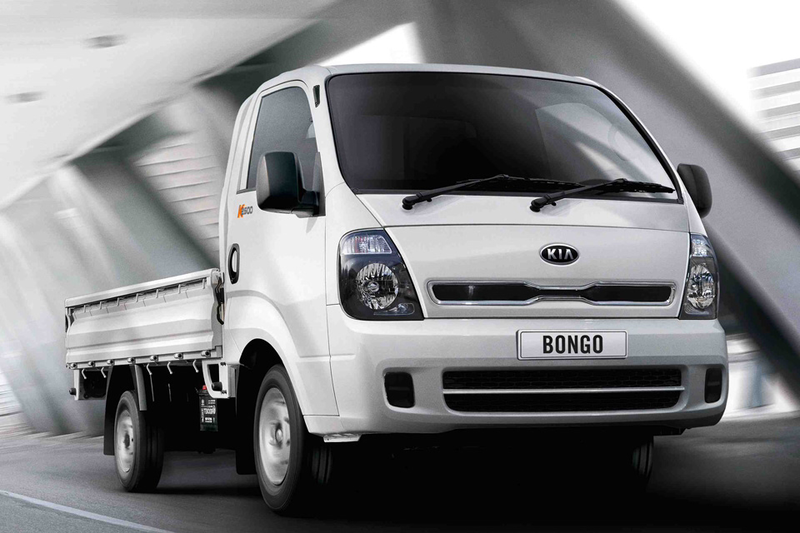 His lights also function thanks to a built-in generator powered by a fifth push wheel under the front axel.